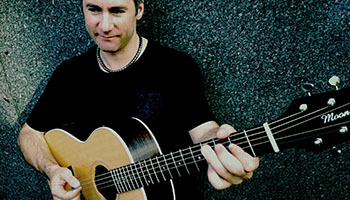 Now based in London UK, Aeron Z. Jones has built an international reputation as a versatile session musician, both live and in the studio, with a particular strength for creative improvised guitar parts. In the USA he became best known through his gigs on the Nashville circuit. He has also toured across Europe, with gigs scattered from the Faroe Islands, through Norway/Sweden/ Denmark and Germany, right down to Bosnia. Most notable are his gigs in Antwerp Sportspaleis (18,000 seats - live televised) and, in the UK, the Royal Festival Hall and Royal Albert Hall, along with his session playing with Jamiriquai. 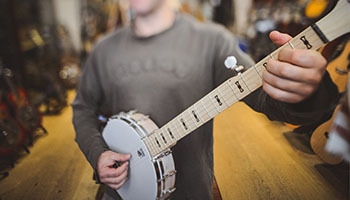 The ability to quickly come up with and orchestrate creative musical parts also developed through studies of guitar and composition at university, followed by years of writing commissioned music in a vast range of styles, to specifications defined by TV, theatre and music production companies. 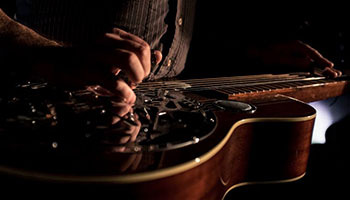 In addition to his work as a rock/funk/blues/folk guitarist, banjo and lap-style steel guitar player, and production composition, Aeron Z. Jones also has his own personal writing projects and a music and vieo production company. See the Other Projects section of this site.